Do you feel there is more to reality than what your five senses reveal? Are emotions controlling the quality of your life? Do you avoid uncomfortable feelings or suppress past trauma? You may have been taught that emotions aren�t logical and therefore can�t be trusted. That happiness depends on suppressing or avoiding �negative� feelings. On the contrary, emotions are the key to discerning energy reality. They are the language of subtle energy providing information, direction, motivation, and vitality. Understanding and harnessing the power of emotions will help you make better decisions, heal your past, and create the life of your dreams. Use emotions to empower your intentions and manifest the life you desire. Synthia Andrews, ND, is a licensed naturopathic doctor who graduated in 2008 from the University of Bridgeport. Previously, she worked for 30 years as a massage therapist. Through her personal healing journey, Andrews came to recognize the importance of the mind and emotions in healing. Consequently, her work focuses on the underlying spiritual and emotional aspects of health. She currently sees patients in a private practice in Guilford, Connecticut. 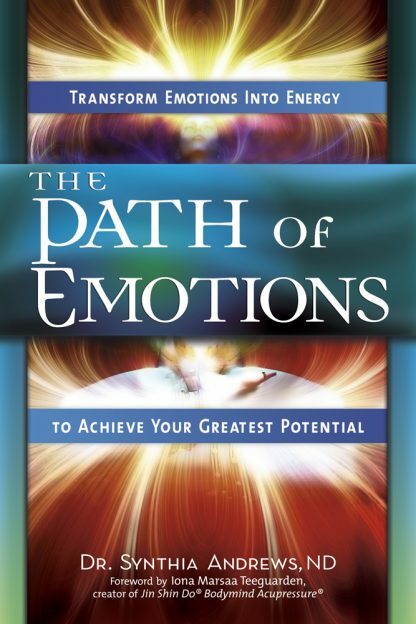 Andrews has written or coauthored seven books on healing, subtle energy, and consciousness, including The Path of Energyand The Path of Emotions. She taught for 15 years at the Connecticut Center for Massage Therapy and 7 years at the Kripalu Yoga Institute. Andrews is an authorized teacher of Jin Shin Do Bodymind Acupressure, a Reiki Master-Teacher, and an instructor in energy awareness for personal and professional development.